Clear Voice Surveys 2018 Review – Legit or Scam? The hardest thing about doing surveys online is figuring out which survey host sites will fit your time, energy, and goals for the next few months. Every site can offer different types of surveys and levels of compensation, so learning more about them before signing up can help improve your survey efficiency. One popular site that you might be considering is Clear Voice Surveys, but you should get to know the details of Clear Voice before deciding if it is the right fit for you or not. Clear Voice Surveys has been around in the world of market research since 2006, and they have continued to expand every year since then. The main focus of Clear Voice is to provide fun and engaging surveys so that people will want to keep coming back to do more surveys. Additionally, the panel aims to provide companies with information that they need to make better products or improve how they handle interactions with their customers. However, whether or not they can successfully do either of these things is yet to be seen in the rest of our review. Once you register on the site and give some information about yourself to help Clear Voice Surveys give you surveys, you’ll be able to start taking surveys. 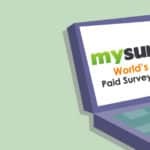 Surveys range in payout from $1 up to $20, but you’re unlikely to find anything other than surveys that pay $1 or less during your entire time on the site. It should be noted that the profile information that you need to fill out on the Clear Voice Surveys site is very extensive. This means that you need to take quite a long time to fill out, and this time isn’t paid. That means that unless the information helps to get you more surveys, you are, in a way, wasting your time. You can also make money on this site by doing offers or referring friends. To do offers, you typically have to sign up for a trial. These trials cost $1, and then they pay out $5. If you forget to cancel the trials though, you could end up spending money instead of making money, so if you choose to do offers, make sure that you are very careful about that. One thing that you might notice on this site is that you do not get paid immediately after completing a survey. The payment is given after the entire survey has closed, so this could take between two to six weeks depending on the specific survey. If you are screened out of a survey while taking it, you will be given a 10-centavo bonus. While this isn’t very much, the small change will eventually add up and improve how much you can make on this site. The minimum amount that can be cashed out on Clear Voice Surveys is $10, and the e-gift options will be processed immediately, while pre-paid cards can take up to one week to process. Additionally, the site offers a few different sweepstakes opportunities while you are doing surveys and otherwise doing activities on the site. One unique feature of this survey panel is that you can use it as long as you are 13 years of age or older. While there may be fewer survey opportunities for these age groups, using this site is a unique way that young adults in this age range can make some extra money with relative ease while also sharing their valuable opinions. Another unique feature of Clear Voice Surveys is that they have a helpline where you can get assistance from an employee if you need it. This line is available during business hours on all weekdays, so you can get problems resolved quickly if you’re having issues completing surveys. This is very different from most survey panel sites. There are a number of different sweepstakes on the site which you can get entries by merely filling out surveys or participating in polls on the website. The simplicity of this bonus is excellent, and many people sign up just to have this kind of a chance to win some bonus cash. While you can cash out your money in multiple forms on this site, that ability is limited in certain countries. This means that if you are located in one of those regions, you will have to wait up to two weeks for a pre-paid Mastercard with your balance on it to arrive. This can be a big inconvenience and a reason not to use the site for some. The biggest issue that people have with this site is the incredibly limited number of surveys that are offered on it. While there used to be a good number of surveys on the site, there have been fewer every month, and many members find that they don’t even get to do more than one survey a month. At that rate, payout takes too long. While the Clear Voice Surveys site does work on a mobile browser, there is no dedicated mobile app. So, while you can do surveys on the go, it is not very convenient. You will likely prefer to do surveys on the computer instead. While this website is in no way a scam, you have to wonder if the time and energy that you would need to put into setting up your profile would be worth it or not. The profile information gathering on Clear Voice Surveys takes a long time, and you aren’t likely to get many survey invitations even if you fill it all out. For that reason, you may be better off looking elsewhere. Still, the site is easy to use, and the payout threshold is low, so you can still use this site if you aren’t looking for a huge pay or immediate payday.